A new chapter in the two-decade-old Snake River salmon and dams saga unfolded in Lewiston Wednesday as hundreds of people showed up for a meeting designed to guide federal agencies in the forthcoming study of the controversial issue. Meghan Foard and Nick Fuller of Moscow said there is no question the dams should be sacrificed to save wild salmon and steelhead runs. Foard questioned some of the information presented by the agencies, said the dams don't make economic sense and removing them would restore wild fish to numbers not seen in decades. However, the government has repeatedly found that breaching is not the only way to protect the fish. Instead it has endorsed efforts to restore salmon and steelhead habitat and pushed reforms to fishing, hatchery practices and dam operations as adequate to keep the fish from slipping further toward extinction. Pro-breaching forces successfully challenged those plans as insufficient in 2000, 2004, 2008, 2010 and again in May. In the latest ruling, U.S. District Court Judge Michael Simon of Portland directed the agencies responsible for operating dams to write an environmental impact statement as dictated by the National Environmental Policy Act. 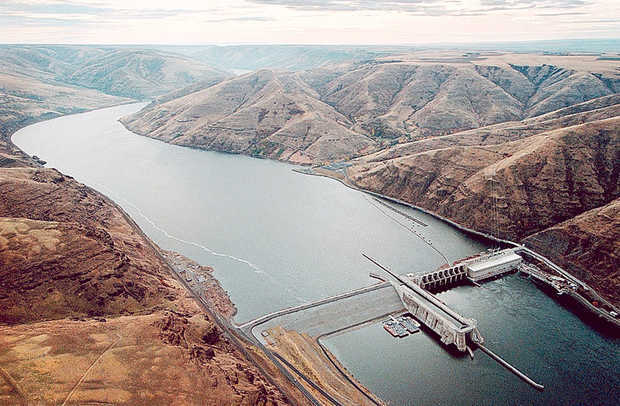 "The federal Columbia River power system remains a system that 'cries out' for a new approach and for new thinking if wild Pacific salmon and steelhead, which have been in these waters since well before the arrival of homo sapiens, are to have any reasonable chance of surviving their encounter with modern man," he wrote in his May ruling. "Perhaps following the processes that Congress has established both in the National Environmental Policy Act and in the Endangered Species Act finally may illuminate a path that will bring these endangered and threatened species out of peril."